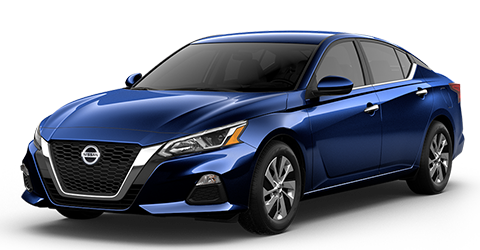 The all-new Nissan Altima continues the model’s characteristic futuristic, angular styling and refreshes it for the 2019 model year. Many mid-size sedans have bland styling that makes them difficult to tell apart. The Honda Accord and Toyota Camry are notorious for this. However, you won’t have to worry about losing the Nissan Altima in a parking lot. The all-new Nissan Altima has plenty of substance to go with its style, as it’s proven by the Altima’s long list of exterior features. The standard chrome door handles and grille provide a bold flourish that takes the style of the Nissan Altima to the next level. Meanwhile, its standard rear diffuser gives the Nissan Altima a low-key sporty look while also enhancing the sedan’s aerodynamics for greater handling stability. The Nissan Altima even offers Intelligent Auto Headlights that automatically turn themselves off and on so that you don’t have to worry about forgetting to do so. Come into the Bob Moore Nissan dealer, Oklahoma City’s premier destination for family sedans. Test-drive the 2019 Nissan Altima today. The 2019 Nissan Altima has many innovative driver aids that contribute to the high level of occupant protection offered by this leading mid-size sedan. The focus of the safety features in the all-new Nissan Altima is on cutting-edge programs that automatically assist the driver in avoiding potential collisions. In the unfortunate event of an accident, the Nissan Altima’s body is designed to absorb and deflect the force of the collision around occupants. The airbags cushion the occupants to further reduce the effects of the accident. Drivers looking for a safe family sedan can find the new Nissan Altima at the Bob Moore Nissan dealership near Oklahoma City. The all-new Nissan Altima offers significantly more power than the previous generation of this model. Plus, it also offers an optional all-wheel drive system, which is not seen on many competitors. The 2019 Altima accomplishes the rare feat of blending enjoyable driving dynamics and impressive fuel efficiency. The standard 2.5L 4-cylinder engine in the Nissan Altima kicks out a muscular 188 horsepower. The XTRONIC CVT® transmission offers the sort of smoothness and seamless power delivery that Nissan’s CVT units are known for. Nissan’s tried and proven front-wheel drive system is the standard drive train, while an advanced all-wheel drive system is optional for added traction. Take the Nissan Altima out for a spin at our Oklahoma City car dealership today. Pretty much every mid-size sedan in this highly competitive segment has a comfortable and reasonably spacious interior. 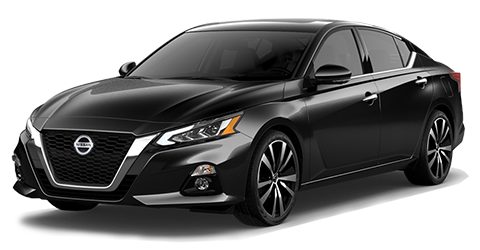 When redesigning the Nissan Altima for the 2019 model year, the manufacturer knew they had to go above and beyond to distinguish this model from the Honda Accord, Toyota Camry, and other competitors. Nissan came up with an attractive design and added a list of interior features that is every bit as impressive as the exterior features. Possibly the most practical interior feature in the Nissan Altima is the simple split-folding rear seat design, which allows the seats to be flipped down in seconds to increase cargo space. The all-new Nissan Altima also offers premium features like optional heated front seats to keep occupants warm during those cold Oklahoma winters. The Nissan Altima even offers optional dual-zone automatic temperature control to keep occupants in the front and back comfortable, no matter what their internal thermostat is set to. Experience the comfortable and stylish interior of the Nissan Altima at our Oklahoma City car dealership. Visit Bob Moore Nissan today to test-drive the 2019 Altima. Even on a practical car like the 2019 Altima, drivers expect a few fun tech features. Nissan exceeded expectations with its redesign for the 2019 model year. The numerous technologies offered in the Nissan Altima make the driving experience not only more fun but also more convenient. The standard 8-inch touchscreen display allows drivers to control the 2019 Altima’s settings and entertainment options with ease. Standard Apple CarPlay™ and Android Auto™ connectivity programs make it simple to link a smartphone and access many different applications. The 2019 Altima even offers optional GPS navigation to inform drivers of the most efficient route to any destination. Check out the tech features in the Nissan Altima at our Nissan dealer near Oklahoma City. Bob Moore Nissan is dedicated to giving you the best service possible. We hope to see you soon!